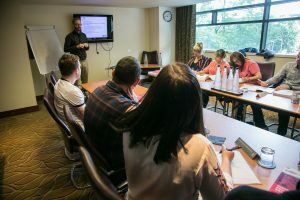 Located in the centre of Birmingham and just a few minutes walk from Birmingham New Street station the Macdonald Burlington Hotel is the perfect location to deliver our CIPS training courses. This historical, grand and glamorous venue boasts luxury rooms, well equipped executive rooms and delicious food. This 4-star location offers business areas equipped with the latest technology ensuring successful and productive CIPS training sessions. Our course fees include the CIPS study guide, full colour copies of the tutor slides, and a comprehensive revision pack. Free drinks and refreshments are available throughout the day. CIPS Level 6 Professional Diploma in Procurement and Supply – coming soon…. Two minutes from Birmingham New Street Station. Less than 20 minutes from Birmingham Airport by train.